MALVERN, PA—(Marketwired – Dec 16, 2014) – CubeSmart (NYSE: CUBE) announced today that its Board of Trustees declared a quarterly dividend of $0.16 per common share for the period ending December 31, 2014. The dividend is payable on January 15, 2015 to common shareholders of record on January 2, 2015. The quarterly distribution represents an annualized dividend rate of $0.64 per share, a $0.12 increase from the previous annual rate of $0.52 per share. The Board of Trustees also declared a quarterly dividend of $0.484375 per share for the 7.75% Series A Cumulative Redeemable Preferred Shares payable on January 15, 2015 to holders of record on January 2, 2015. CubeSmart is a self–administered and self–managed real estate investment trust. CubeSmart owns or manages 592 self–storage facilities across the United States. According to the 2014 Self Storage Almanac, CubeSmart is one of the top four owners and operators of self–storage facilities in the U.S. The Company plans to exceed Customer expectations by adding more personalized services and technology to some of the best storage spaces around. The Company's self–storage facilities are designed to offer affordable, easily accessible, secure, and, in most locations, climate–controlled storage space for residential and commercial Customers. CubeSmart® services include storage customization, logistics services, comprehensive moving services, organizational services, and office amenities. For more information about business and personal storage or to learn more about the Company and find a nearby storage facility, visit www.CubeSmart.com or call CubeSmart toll free at 800–800–1717. DEAKIN, AUSTRALIA—(Marketwired – Dec 16, 2014) – Motivations for undergoing abdominoplasty are diverse, states Dr. Chandra Patel, a plastic surgeon in Canberra. He says this procedure, also called tummy tuck surgery, appeals to a wide number of people who experience dissatisfaction with their appearance despite being in relatively good shape. Designed to reduce excess skin and tighten the muscles around the midsection, where many individuals have unwanted tissue laxity, tummy tuck surgery can benefit mothers, patients who have lost a substantial amount of weight, and people with a genetic predisposition for loose skin. To help provide a resource for anyone researching abdominoplasty, he explains what to expect during and after the operation. Dr. Patel indicates that patients considering tummy tuck surgery do so for many reasons. Pregnancy, weight gain and loss, and heritable skin laxity can often cause the skin and muscles on the abdomen to relax to a point that cannot be altered with diet and exercise, he states. However, he says abdominoplasty is intended to eliminate the excess skin and tighten muscles to help create a firmer, more contoured, and more youthful appearance that many individuals desire and may not be able to achieve through other, more conservative measures. In some cases, he notes, liposuction may also be utilised during the operation to reduce stubborn fatty tissue in the area. As a surgical procedure, patients should be aware of what to expect from abdominoplasty before proceeding with the experience, Dr. Patel emphasises. The operation generally involves creating an incision low along the waist, tightening the underlying muscles, and trimming the excess skin. Recovery typically includes some discomfort, bruising, and swelling, although he says medication can be prescribed to help alleviate pain. The Deakin plastic surgeon says patients should expect to take approximately a week away from work, and strenuous activities should be avoided for at least a month. He indicates the healed scar is generally well–hidden by the waistband of most garments, including swimsuits. Ultimately, Dr. Patel advises patients to thoroughly research tummy tuck surgery and a plastic surgeon who is a member of the Australian Society of Plastic Surgeons before considering the procedure. Abdominoplasty, he states, is a great way to enhance body contour and restore a more athletic appearance to the stomach, especially for women who have experienced childbirth and desire a return to their firmer pre–baby body. Dr. Patel has undergone extensive plastic surgery training, beginning with earning his medical degree in the UK and continuing his education in the United States and Australia. He has held several senior positions, including Head of The Plastic & Reconstructive Surgery Unit at the Canberra Hospital. An active participant in domestic and international cosmetic and plastic surgery conferences, he is also a member of several esteemed medical organisations, such as the Australian Society of Plastic Surgeons and the Australasian Society of Aesthetic Plastic Surgeons. Dr. Patel is available for interview upon request. 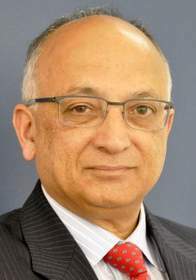 For more information about Dr. Patel and his practice, please visit lotusclinic.com.au. TORONTO, ON—(Marketwired – Dec 16, 2014) – The holiday season is officially here, and Renaissance Toronto Downtown Hotel is ringing it in with exclusive offers and events for meetings, groups and guests of the iconic Four Diamond rated hotel. Its expansive meeting facilities in the heart of downtown Toronto, combined with special offers like the season's Holiday Gift to You credit and Shopping Spree in Toronto make it an ideal destination for guests and groups this season. With 12 expansive meeting rooms and a dynamic downtown location inside the Rogers Centre, Renaissance Toronto Downtown is uniquely placed to provide an unforgettable setting for holiday meetings and group gatherings. Its 13,000 square feet of meeting space is versatile and flexible, with the Northern Lights Ballroom hosting enough space for up to 320 attendees. The hotel is also giving back to guests with their Holiday Gift to You promotion. The special offer includes up to a $50 hotel credit for stays from now through January and gives guests even more reason to spend the holiday season in Toronto. Guests can use their credit toward delicious dining at the hotel and savour new seasonal holiday menus from a talented team of culinary masters, or apply their discount to other amenities, including their final bill. For holiday shoppers, the hotel's Shopping Spree in Toronto package is their ticket to the best deals in the city at Toronto Eaton Centre. Guests who book the special offer this season will enjoy overnight accommodations in a city view room, a full buffet breakfast for two in Arriba, complimentary breakfast for children under 12 years of age, valet parking for one car, and a $20 CAD Toronto Eaton Centre gift card to use toward finishing that all–important holiday shopping list. With a prime location in the heart of downtown, the world–class Toronto luxury hotel is perfectly placed to provide a unique holiday gateway to the best the city has to offer. 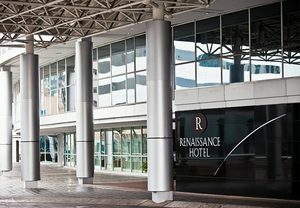 Designed as the ultimate entertainment getaway, the Renaissance Toronto Downtown Hotel is located inside the Rogers Centre and offers full–service luxury accommodations. As the only hotel in the world situated inside a major league sports venue, the Toronto hotel's 70 field–view rooms make it a unique destination. Rated by CAA/AAA as a Four Diamond hotel, travellers will find the lodging ideal for attending the annual Toronto International Film Festival, Blue Jays' baseball, Argonauts' football, concerts and other events that call the Rogers Centre home. Located just steps away from the Metro Convention Centre, CN Tower, Air Canada Centre and the city's bustling financial district, the Toronto hotel's downtown location is ideal for business and leisure travellers. In addition to spacious rooms and field–view suites, guests have access to on–site dining at the Arriba Restaurant and Lounge, an indoor pool and well–equipped fitness centre. 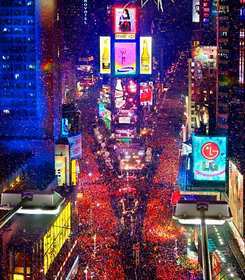 NEW YORK, NY—(Marketwired – Dec 16, 2014) – Renaissance New York Times Square Hotel is offering guests the best seat in town to ring in the coming New Year, with the announcement of their upcoming New Year's Eve party at R Lounge. Guests are invited to take in one of the most coveted views of the world–famous ball drop in Times Square while they dine, drink, and dance throughout the night at this luxury hotel. The festivities begin on New Year's Eve with a Meet & Greet in the Cosmopolitan Room from 6:30 – 8:30 PM, followed by passed hors d'oeuvres and a dinner reception from 8:30 – 10:30 PM. After dining on some of R Lounge's most delicious bites, guests can treat their sweet tooth with Sweet Stations throughout the evening until the ball drops at midnight. From midnight to 1:00 AM, R Lounge will offer gift bags for guests, plus a butler passed breakfast. The bar at R Lounge at Two Times Square boasts floor to ceiling windows that offer the ultimate panoramic view of Times Square away from the hustle and bustle. It's a refreshing and stylish spot to enjoy a specialty cocktail, inventive appetizer or one of the “Blue Ribbon Classics” crafted by acclaimed chefs and restaurateurs, Bruce and Eric Bromberg, of Blue Ribbon Restaurants. The view of NYC and Times Square is truly unmatched. A full premium open bar will be available throughout the evening as guests ring in the New Year, surrounded by incredible views of the excitement of Times Square below. Pricing for Tier 1 views of the drop range from $8,500 for two and $17,000 for four, down to Tier 5 views, which are priced at $3,000 for two and $6,000 for four. For more information, contact Carol Pernot at Carol.Pernot@RenaissanceHotels.com or call 212.445.1445. *No one under 21 will be admitted. Ticket and table pricing is plus applicable service fees and taxes. Payment in full is due at signing. All payment is non–refundable. Pricing does not include overnight room rates. Guest room accommodations are available at $699 per room per night. Two–night minimum stay required with check in on 12/30/14. Please include your sleeping room request on the reservation form. Rising 26 stories above Times Square, this full–service Renaissance hotel has the soul of a boutique property, with beautifully crafted interiors developed by renowned designer Jordan Mozer. Its completely redesigned guest rooms feature hardwood furniture, luxurious bathrooms and state–of–the–art technology. Only steps away from Midtown's famed entertainment, attractions, and Fortune 500 headquarters, the hotel provides four intimate meeting spaces for private events, setting it apart from other Times Square properties. Guests can enjoy cocktails or a snack at R Lounge, the onsite restaurant and lounge, before venturing out to Rockefeller Center or the Theater District. With a AAA Four–Diamond rating and a prime location on Broadway and Seventh, this luxury hotel epitomizes the concept of the urban oasis. ORLANDO, FL—(Marketwired – Dec 16, 2014) – ProductionHUB launches the first phase of its 'Training' section of the website, in conjunction with Lynda, CreatorUp! and Stage32. Content creators can explore and learn new skills, at all levels in their career, at a variety of price points — from Adobe After Effects tutorials on Lynda, and “A Line Producer's Guide to Making a Movie in 10 Steps“ on Stage32 to video content monetization tips on CreatorUp!. “The new Training area exists to assist the millions of jobseekers that search for industry jobs but need additional training in certain areas to advance their career. Now, the training technology is at their fingertips, and they aren't pigeonholed by a particular platform,” says Katrina Deleon, Director of Marketing for ProductionHUB. With the ever–changing shift in technology in the pro video space, even those settled in their careers are asked to learn new techniques and skills. Other companies (confidential at this time) will be phasing in on the site over the next few months. ProductionHUB is an online marketplace that connects businesses with professional content creators to make their projects come to life — from production companies, post houses, and equipment vendors to crew, freelancers & everything in between. QUEBEC CITY, QC—(Marketwired – Dec 16, 2014) – IT professional services provider OSF Global Services announced today the formation of a strategic alliance with Bluecom, a companionable ecommerce solutions provider servicing online retailers in China, Japan, Korea and Southeast Asia. The alliance is a marketing agreement to provide marketing support and promote each other's services provided in specific global regions: OSF to promote Bluecom's services, provided in Asia; and Bluecom to promote OSF's services, provided in EMEA and the Americas — each benefiting from the other's expertise in its own marketplace. As the companies have agreed to provide integration support to their clients on a case–by–case basis, they provide their combined expertise on a global scale while ensuring a local presence in each key marketplace. OSF has been delivering SLA–grade professional services since 2003, having established itself as a trusted cloud technology advisor and technology integrator to clients in 17 countries across North America, Europe and Asia. The company specializes in cloud application development, private clouds, CRM platforms and reputable ecommerce cloud platforms. Headquartered in Québec, Canada, OSF has offices in the U.S., UK, France, Germany, Brazil, Italy, Romania and Ukraine. OSF provides global coverage to its customers through its united offices and its partner network. OSF Global Services is ISO 9001:2008 certified, a Magento Partner, a Demandware LINK Implementation Certified Premier Partner, Microsoft Certified, a Salesforce.com Consulting Partner and a Rackspace Hosting Member Partner. For more information about the company's ecommerce expertise please visit www.osf–global.com. 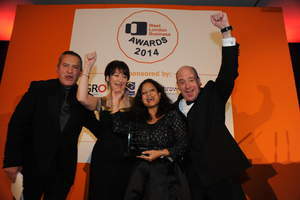 HAYES, UNITED KINGDOM—(Marketwired – Dec 16, 2014) – The London Heathrow Marriott was in great spirits as the business hotel at Heathrow Airport collected the award for Hospitality Business of the Year at the annual West London Business Awards ceremony. Over 300 guests attended the glittering gala dinner which showcased business excellence in West London. Businesses could choose from 18 diverse categories this year and with over 150 entries, getting on the shortlist alone was a major achievement. The prestigious award ceremony was organised by West London Business, the sub–regional chamber of commerce, in collaboration with Chart Lane, experienced planners of business events. The judging panel was made up of respected individuals from 14 companies including Brunel University, the BBC and Hillingdon Chamber of Commerce. More information about the London Heathrow Marriott Hotel may be found by visiting http://www.marriott.com/hotels/travel/lhrhr–london–heathrow–marriott–hotel/. For details concerning the awards and West London Business please visit: http://www.livewirecampaign.co.uk/t/index.cfm?fuseaction=vi.m&ui=11711427&uk=LWCPN–UR–150325322&ai=2992&bi=93862&r=52673216. The London Heathrow Marriott Hotel welcomes guests with upscale amenities, innovative designs and intuitive service so they can make the most of their travel time. Boasting style with substance, the hotel's convenient airport location allows guests to enjoy handy Heathrow Airport shuttle service and the comfort of soundproof guest rooms furnished with luxury bedding ensembles, an in–room safe and high–speed Internet access. The hotel is near popular attractions including Kew Gardens, Legoland and Windsor Castle so blending work and play while travelling to London is easier than ever. Onsite dining includes two restaurants and a Starbucks® Coffee House as well as a trendy Atrium Lounge and The Sevens Bar, an official partner of the Rugby Football Union and the Marriott London 7s. The hotel also features a Leisure Club where guests may enjoy complimentary use of free weights, cardiovascular equipment, a steam room, sauna and indoor pool. COLUMBIA, MD—(Marketwired – Dec 16, 2014) – Peak–Ryzex, Inc. today announced that The Empire Company, one of the largest millwork distribution and manufacturing companies in the United States, has selected Peak–Ryzex for implementation of a custom–tailored mobile managed service solution needed to lower costs for Empire's Store Servicing Process. Peak–Ryzex offered the most effective solution that allowed Empire to save time and money on their mobile managed service needs, with helpdesk support, telecommunications expense management and advanced replacement of mobile devices. Empire was faced with multiple problem areas when it came to their mobile device population and data collection processes. Empire wanted to standardize the mobile data collection equipment to a single device platform that would allow Empire to multi–purpose their hardware and processes. A main pain point was the high cost the company was paying on their voice and data plans. Employees did not uniformly utilize the data/voice plans and their plans did not allow aggregation of minutes across employees. The solution offered to Empire was centered on lowering the total cost of ownership for their Store Servicing Process. Peak–Ryzex created a solution with TCO savings including standardization of mobile devices, reduction in costs for voice/data plans, and increased efficiencies from logistical service and support. Peak–Ryzex provides end–to–end enterprise mobility, managed services, printing and mobile data capture solutions for performance–driven organizations focused on the optimization of supply chain and field–based business processes. Peak–Ryzex's in–depth industry–specific experience, state–of–the–art solutions and managed services, and exemplary customer support provide transformational business solutions and results that deliver greater ROI and outstanding value. Peak–Ryzex serves as a trusted business partner for some of the world's largest companies, while also supporting local and regional customers with an extensive coverage footprint throughout North America and Europe. The Empire Company was founded in 1946 as a small regional distributor of building materials which was serviced from a single location. During the 60's and 70's, the company's focus began to shift from rough construction products to millwork. Empire has grown its distribution roots beyond the Midwest and into one of the largest millwork distribution and light manufacturing companies in the United States. With a geographic footprint that touches the majority of the eastern half of the United States, Empire is well positioned for continued expansion. NEW YORK, NY—(Marketwired – Dec 16, 2014) – Scott Steinberg, founder of techsavvymag.com, shares his top tech picks for your holiday wish list. A new smartphone is perfect for any mobile professional who wants to be more productive. The new BlackBerry Passport has a large high–resolution touch square screen and the industry's first and only touch–enabled QWERTY keyboard. This makes it ideal for viewing documents, browsing the web and writing emails. It also has great new features like a new operating system, dual app store, BlackBerry's new digital assistant as well as BlackBerry Blend, which allows you to easily share content, texts and conversations from your device to your tablet or computer. A new computer makes for a great gift, but there are so many out there. The HP Chromebook starting at $279.99 stands out because it's affordable and powerful. It comes with 100 GB of Google Drive storage for two years, which is great for storing all your holiday photos. Plus it has Google Chromecast and access to third party apps like Hulu and Netflix, a feature anyone on your shopping list will love! Another gift option is the Lyve Home 2TeraByte drive that stores all of your photos and videos from all devices including phones, laptops, external drives, and it organizes them into one central library creating a secure backup of all of your images. There's also a great Free Lyve app that gives you instant access to any of these photos and videos from any device, no matter where you are. It's super easy. You just download the Lyve app from itunes or googleplay on all of your devices, and it does the rest. It even backs up any new photos instantly! For the guy on your list, grooming tools are always a great gift. Wahl's latest and greatest are the Lithium Ion Trimmer and Elite Pro Series Clipper. They cover it all, from head and face, and are the most powerful in their class. Both feature patented ground blades for a smooth and even cut every time. A lot of guys are can be very particular about grooming tools, but everyone will love these, and they're sold at major stores nationwide making shopping even easier. When you're shopping, try to get as much done in one place as possible. GameStop is the place to find all your gaming and tech gifts this season. They have great deals on new and pre–owned gifts like video games, consoles, gadgets, and accessories. This year among their hot deals is the Xbox One. They're offering the system in a bundle with digital copies of two Assassin's Creed games, which makes for a great holiday gift. Visit TechSavvyMag.com for more tech gift ideas. This release is provided by YourUpdate.tv for whom Scott Steinberg is a spokesperson on behalf of the organizations referred. OAKBROOK TERRACE, IL—(Marketwired – Dec 16, 2014) – Redbox, America's destination for new–release entertainment, is giving the gift of entertainment this holiday season through a consumer promotion and charitable movie donation. Redbox is donating nearly 3,000 Blu–ray™ discs and DVDs to the Fisher House Foundation, whose program provides a network of comfort homes where military and veterans' families can stay at no cost while loved ones receive medical treatment. In addition, Redbox is giving out a promo code for a free movie night that everyone in the U.S. can use on Wednesday, December 17. Fisher Houses across the country will receive the Redbox donations in time for the holidays, to help populate the movie libraries shared by families staying at these homes. Redbox and Outerwall, Redbox's parent company, began their partnership with Fisher House Foundation earlier this year through their Community Grant Program. In addition to the movie donation from Redbox, the companies have donated $25,000 to the Fisher House Foundation this year. For more information, visit outerwall.com/responsibility. 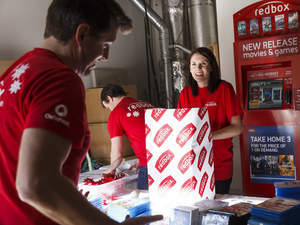 Since opening its first kiosk in 2002, Redbox has grown to more than 35,000 locations across the U.S. and Canada. To find your nearest kiosk, reserve rentals online or join Redbox Play Pass, a points–based loyalty program where customers earn free movie nights, visit redbox.com. Redbox, an Outerwall Inc. (NASDAQ: OUTR) brand, offers new–release DVD, Blu–ray Disc® and video–game rentals through its network of conveniently located, self–service kiosks. Redbox has rented more than 3.7 billion discs and is available at more than 35,000 locations, including leading grocery, drug and convenience stores, and select Walgreens, Walmart and McDonald's locations. For more information, visit redbox.com and for more information about Outerwall Inc., visit outerwall.com. Fisher House Foundation is best known for a network of comfort homes where military and veterans' families can stay at no cost while a loved one is receiving treatment. These homes are located at major military and VA medical centers nationwide, and in Europe, close to the medical center or hospital it serves. Fisher Houses have up to 21 suites, with private bedrooms and baths. Families share a common kitchen, laundry facilities, a warm dining room and an inviting living room. Fisher House Foundation ensures that there is never a lodging fee. Since inception, the program has saved military and veterans' families an estimated $235 million in out of pocket costs for lodging and transportation.